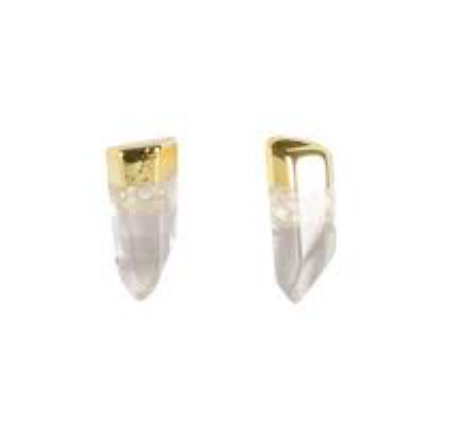 Clear Quartz is known as the master healer and amplifies nearby energy including other crystal energy. The colors and sizes vary naturally, so no two studs will look the same. Handmade with sterling silver posts and dipped in 18K gold. Each stone varies slightly in length. Average length .5 inch.